We intended this article in order to make global asp.net MVC development community aware of the technique to generate PDF file from HTML with the help of iTextSharp. iTextSharp is a .net PDF library that enables developers to produce PDF file. How it makes the things possible, let’s find out. ITextSharp is a .NET PDF library which allows you to generate PDF (Portable Document Format). There are many other feature of ITextSharp but currently we are implementing the feature to generate PDF from HTML content in ASP.NET MVC. 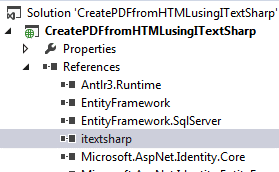 So first of all we need to add reference of iTextSharp in our project. We can get iTextSharp reference using package manager, we just need to execute following command to download and add reference. Now you need to create a method which will give you byte array of PDF content, so our code will be . So this method will returns byte array of PDF and you can use that according to your requirement. 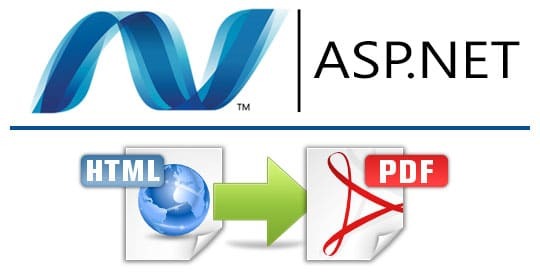 For example if you want to download this pdf in ASP.NET MVC application then do the following code. This article is written by Ethan Millar. He shared the technique to generate PDF from HTML using iTextSharp with asp.net MVC development platform. You can try it and share your experience with us. Also, if you face any issue while performing, you can leave the comment and get expert assistance for your query. Software Development: What is a Hook? Let’s Know About Few Types of Hook. Whenever i am using anchar tag with href attribute in HTML, it’s not able to parse and error is “Unable to cast object of type ‘iTextSharp.text.html.simpleparser.CellWrapper’ to type ‘iTextSharp.text.Paragraph’.”. I am trying to create an action link within one pdf from the thumbnail image to original image. Please help me. at this point my code is not executing showing input string was not in a correct format.when converting a string to datetime,parse the string to take the date before putting each variable into datetime object. its really a good article but i want to save this pdf byte array to some path, while doing I am not getting proper pdf. Can you please tell me how can I do that? I’m using ASP.Net Core and iTextSharp is not compatible with Core …. any idea about generating PDF’s from Core ? I have a view and need only spend a DIV PDF Is it possible? What is the way to do it? How do I pass HTML page from View to Controller through a string? How to add Arabic contents inside html .. Please do not use the deprecated HTMLWorker. Refer to the official documentation and use XMLWorker! Can you suggest the changes in the code? Please refer to the *official* documentation! return error: The URI prefix is not recognized. Please make sure that the URI string must start with a proper protocol like “http://” or “https://”.